Just about every person and business needs a printer these days. Sure, it would be great to go totally paperless, but sometimes you need an actual document that you can hold in your hand. With the plethora of printer options on the market, how can you choose a printer that will be right for you? By asking a few simple questions and assessing your printing needs, you can get a printer that will be efficient, do everything you need it to do, and be cost effective at the same time. What Do You Need a Printer For? What basic functions do you need in a printer? Today’s multifunction printers combine printing, scanning, faxing, and copying. Do you need all of those functions? Multifunction printers are fairly inexpensive, so even if you don’t think you need all of those functions now, they may come in handy in the future. If you already have a copier, scanner, and/or fax machine, these features might be unnecessary. On the other hand, you may be able to reduce your office equipment and increase your space by combining all of these functions into one machine. What do you need to print? 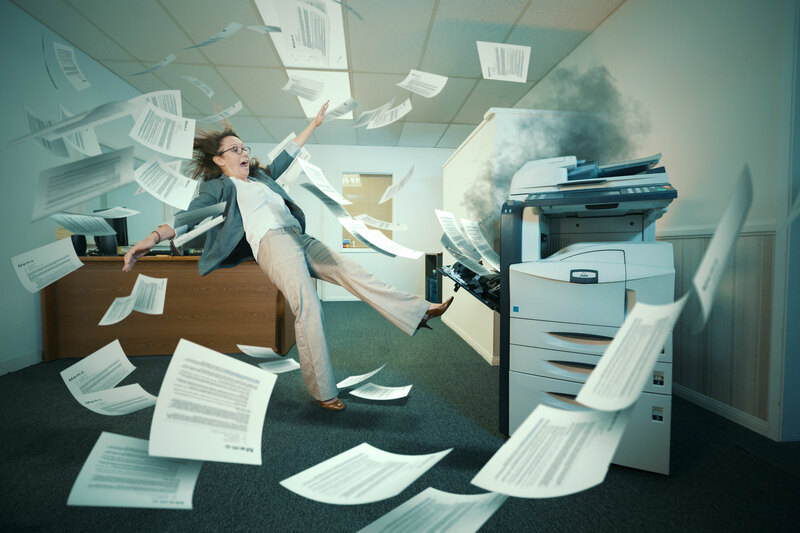 If you print a high volume of single-color (black) documents, consider a laser printer. The start-up cost may be more – laser printers and toner cartridges are more expensive than their inkjet counterparts – but in the end, your cost per print will be substantially less, probably by 50% or more. Laser printers generally produce higher-quality images than inkjets as well. And they are faster, which is something to consider if you require a large output from it on a regular basis. If your printing mainly consists of documents, web pages, and spreadsheets – and the volume isn’t so high – a low-cost inkjet printer will probably be sufficient. If, on the other hand, you need to print high-quality color photos and images, a full-color photo-grade inkjet printer may better suit your needs. Additionally, inkjet printers handle a wider variety of print media, and they generally have a smaller footprint and take up less room in your workspace. Remember to take into account paper thickness and size. If you need to print on non-standard size paper, photo paper, or heavy card stock, be sure the printer is able to handle these. Many printers now have wireless capability, so you can print from your laptop, tablet, and even your phone, as long as you are connected to the network. If the printer isn’t sitting in your office, this may be a handy option. Also, if multiple people will be using the printer, wireless connectivity makes things a whole lot easier. On the other hand, if your computer stays on your desk, and you are the only one who uses the printer, wireless capability may not be important. You should do a little investigating into the technical side of things. What operating system do you use, and is the computer compatible with it? Do you need PostScript compatibility? Will the printer accept digital memory cards and flash drives? How easy is it to set up and use? Can it multitask if multiple users will be using it? The huge number of options in the printer market may seem overwhelming. But by asking a few questions and doing a bit of homework, you can choose a printer that will be cost effective and integrate seamlessly into the needs of your home or business. Protech Business Systems in Los Angeles has over 20 years’ experience in helping businesses with their printing needs.